Building an email list is one of the most important things you can do to grow your business, because leads lead to customers. The great news is, Facebook is an excellent tool for growing your email list quickly. Facebook Banned like-gating back in November 2014. An end to like-gating doesn’t have to be the end of the world – or your Facebook marketing. For brands to successfully use social media to help achieve their business goals, they need to move away from simply collecting likes and instead focus on growing their email lists. In this article I’ll share 10 tactics marketers can use in place of like-gating to sustain audience growth and engagement on Facebook. EXAMPLE: Perry Marshall the #1 author and world’s most-quoted consultant on Google Advertising. EXAMPLE: Mari Smith considered one of the world’s foremost experts on Facebook marketing and social media. 3. 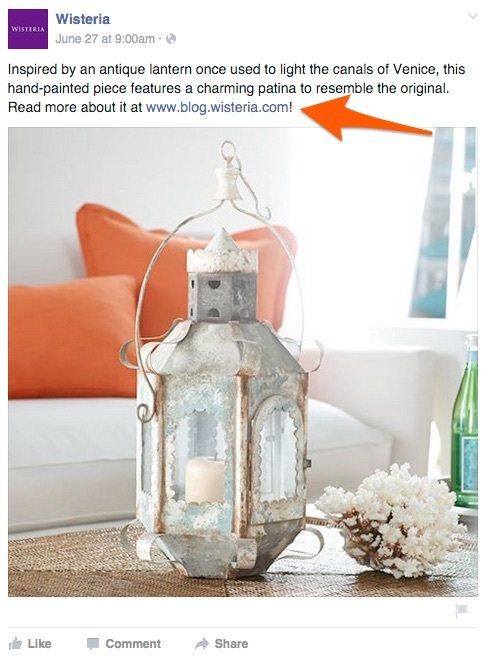 Create a “sign up” call to action button on your Facebook business page. 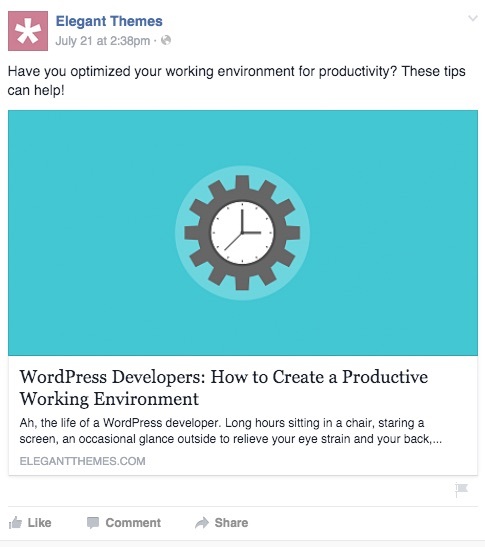 EXAMPLE: Social Media Examiner considered one of the world’s largest online social media magazine. 4. Write a Facebook status to your fans every now and again, and don’t be afraid to directly ask people to join your email list and like your post; it works! EXAMPLE: Wisteria a home décor retailer selling the treasures we found around the world creating a look that’s uniquely yours. 5. Give people a sneak peek of what they’ll get by joining your email list. EXAMPLE: Elegant Themes which builds amazingly beautiful Premium WordPress Themes. 6. Create enticing visuals encouraging people to sign up for your email list, and post them on your wall. EXAMPLE: Lena Dunham is an amazing American actress, author, screenwriter, producer, and director. 7. Give something away like samples, a tour, a consultation, a free how-to guide, infographic, how-to video, etc. Have people sign up for your email list to qualify. you want to make sure to include a call to action to subscribe to your email list at the conclusion of the content or somewhere in the body. 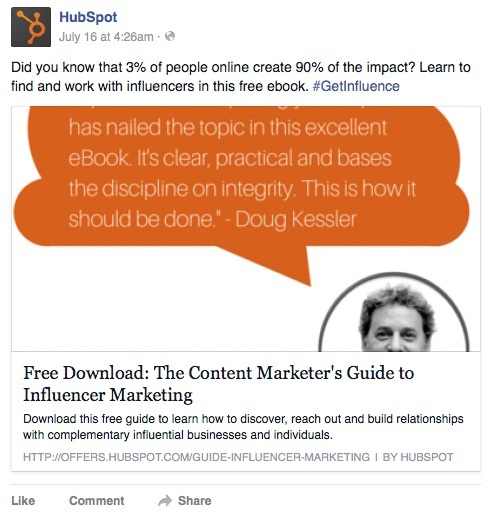 EXAMPLE: HUBSPOT the world’s leading inbound marketing and sales platform. 8. Offer “Email only” discounts and mention them on your sign up form page and on social. Don’t use those offers anywhere but email. EXAMPLE: H&M a global fashion brand and pioneer of design collaborations with style icons such as Karl Lagerfeld, Stella McCartney, Viktor & Rolf, Roberto Cavalli, Comme des Garçons, Sonia Rykiel and Lanvin. 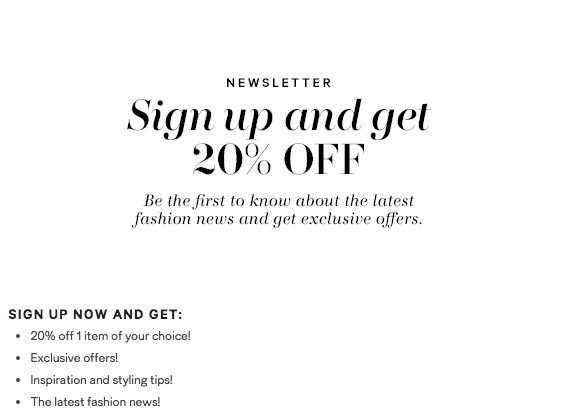 H&M incentivizes its customers to sign up for email with an exclusive discount on their next purchase, which is engaging content to share on Facebook or Twitter. 9. 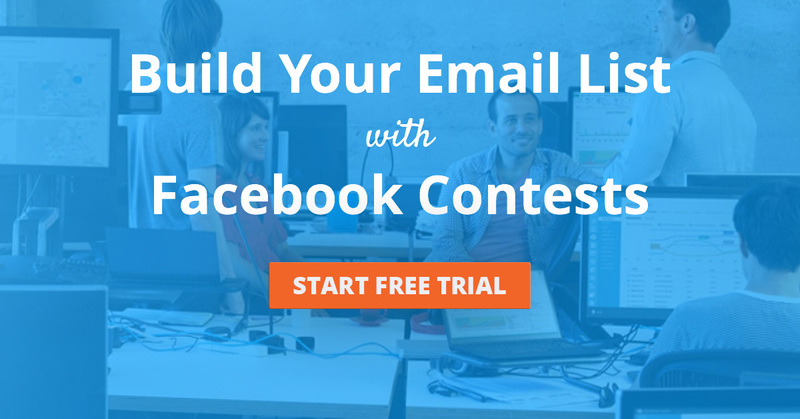 Run a Facebook contest to convert your Facebook fans into email subscribers. 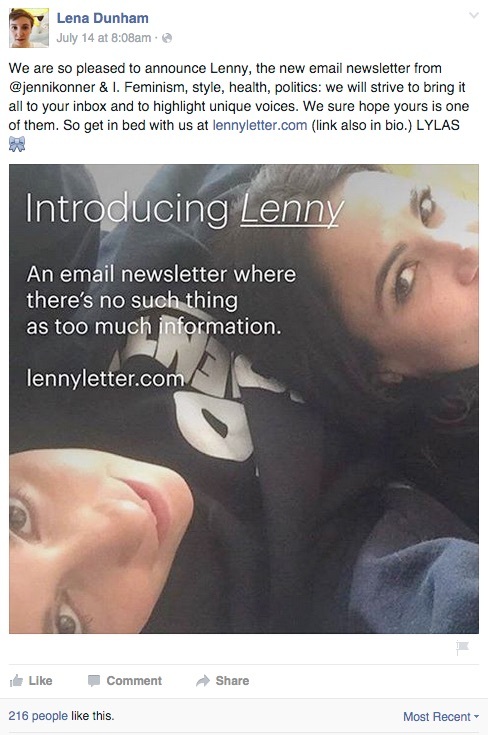 This is one of the most powerful ways to build an email list on Facebook. 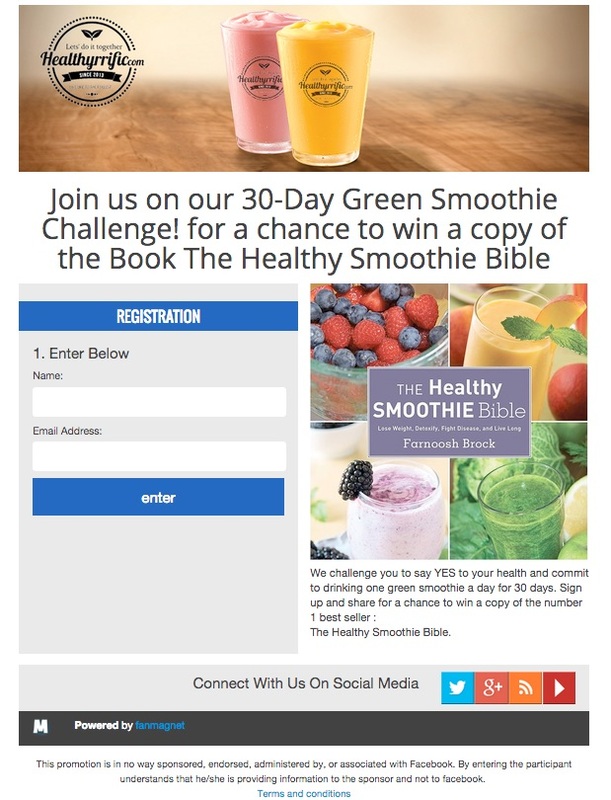 EXAMPLE: HEALTHYRRIFIC a community focused on sharing healthy smoothie recipes, tools and tips to support a healthy diet rich in fruits and vegetables to get you inspired to eat better and feel better. 10. 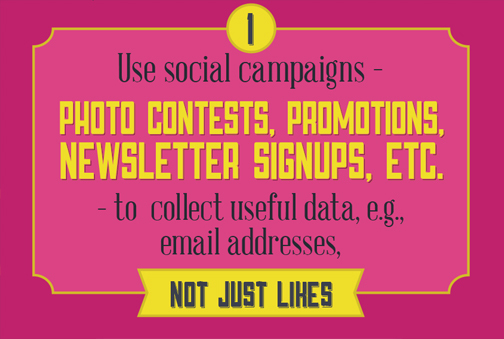 Create Facebook ads around an offer or incentive, or even your newsletter itself. Link people back to your opt-in form/sign-up landing page from that ad. Here’s a step-by-step process. Whether it’s a promoted post, or a custom audience, or any of the other Facebook advertising, give Facebook ads a try. 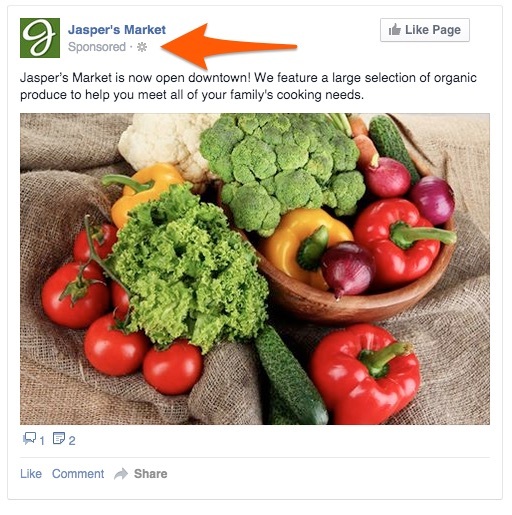 Facebook has basically become an “advertising platform,” . So sometimes, you have to give in and spend a little money. At least now you’re spending the money on your email list. Treat your subscribers right and it should be a very good investment.